My guest on Ask A VC this week is Bill Tai of Charles River Ventures. He’s also a professional kiteboarder. 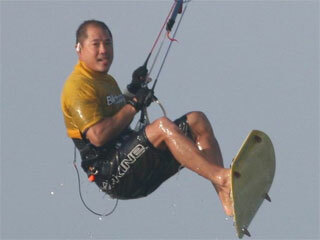 You may ask: Why would a guy who has been a VC since 1991 need kiteboarding sponsors? That was my first question. Generally in this video we talk about how the venture business has changed during the last 20 years and how kiteboarding has changed over the last 10 years. There are a lot of parallels. Both games have become safer and more mainstream, but does that mean they’re less fun?